Instagram’s impressive growth over the past few years has got it into the leading platforms for social media marketing. With over 600 million active monthly users, Instagram is now amongst the most popular social networks. Instagram has emerged as a hub for digital marketing due its promising growth and marketing-friendly approach. Modern startups have started integrating Instagram marketing into their mainstream marketing strategies, with the aim of achieving higher growth and better engagement rate. The rate of growth and engagement is directly dependent on the size of your audience hence it is necessary for startups to boost their Instagram audience. Below are the most effective ways of approaching larger Instagram audiences to stimulate the growth of your brand. The key to approaching and influencing larger audiences on Instagram is having a reliable, decent and an active Instagram profile. Reliable and well-maintained profiles exhibit professionalism and are easily trusted by consumers. In order to enhance the credibility and integrity of your Instagram profile, you must first upload a well-crafted, unique and informative bio. The bio of an Instagram profile is highly influential on a consumer. The Instagram bio must be decent, brief and must communicate a message and the purpose of the brand to the consumers. Next, your Instagram profile should be active and consistent. If your Instagram profile is inconsistent with its posts, the followers’ base is likely to lose interest, crippling the influence and credibility of the brand page. In order to boost your Instagram audience and approach potential customers, you must post content regularly. You may post content related to the brand or stuff like trending memes and inspiring quotations. The posting routine of your Instagram account must be consistent. If regular posting is hard for you to manage, third-party Instagram marketing tools such as Schedugramcan be employed to schedule posts. As a startup, you may also choose to ‘artificially’ promote your brand page. It actually is a feasible idea as any page with a greater number of followers seems highly credible and is more likely to be trusted by users. In order to gain ‘trust’ and confidence from the consumers, you can utilize third-party marketing tools such as Vibbi, to buy Instagram likes and followers for your Instagram brand page. You can purchase ‘genuine’ following for reasonable amount and get it delivered instantly. Cross promotion is an effective way to boost Instagram audience and engagement from the followers’ base. Cross-promotion refers to multi-platform promotion, where two or more social networking platforms are promoted simultaneously. It establishes a link between the connected social networks, making the execution of marketing operations smoother. Startups can implement cross-promotional strategies to bring the audience from other social networks to their Instagram profiles. Moreover, it would also trigger customer loyalty as the audience would already be aware of the brand. Perhaps the most effective way of boosting engagement and approaching new audiences is promotion through user generated content. User generated content is the content created by your consumers, for the promotion of your brand. Their efforts are usually rewarded with prizes or just credits in most cases. UGC boosts engagement in the most effective manner. Present and potential customers are approached, and the brand awareness is raised. Audiences not interested in the brand can also be approached via campaigns involving UGC. Leveraging UGC on Instagram is incredibly simple. As a startup, you can initiate UGC campaigns. You can insert CTAs in your posts and encourage users to create and share content for the promotion of the brand. You can handpick users’ uploads from the ongoing campaign and feature it on your brand’s official Instagram account, giving credits to the original creator of the content. It also encourages brand loyalty as consumers feel honored when they are credited for their contributions. Instagram seems incomplete without hashtags. Well, the statement may be a bit exaggerated, but the practicality of hashtags in Instagram cannot be ignored. You can record a significant increase in the reach of your posts and can boost Instagram audience by adding hashtags to your posts. You can either utilize trending hashtags or can identify and use particular hashtags for your target audience. Using relevant hashtags will help you find individuals with similar interests, and you may end up turning them into customers. Instagram users are highly likely to respond to posts referring to giveaways. Conducting giveaways and adding CTAs is another very good idea to boost Instagram audience. You can announce giveaways while asking your followers to share your posts or tag their friends. Not only will it stimulate the engagement, but will also enable you to target new and active audience as consumers, regardless of their interests are likely to respond to giveaway posts. yes’ you are very right “With over 600 million active monthly users, Instagram is now amongst the most popular social networks”. and your all 6 points to boost our brand is good for any startup to promote their business. I personally do not use Instagram on regular basis as I love Twitter much more, but I know Insta is a great place to promote brand and occasionally I have used Hashtag method to get likes, Comments and some followers too, but not on regular occasions. I guess I need to focus more on social branding to get regular readers. I was searching for that. 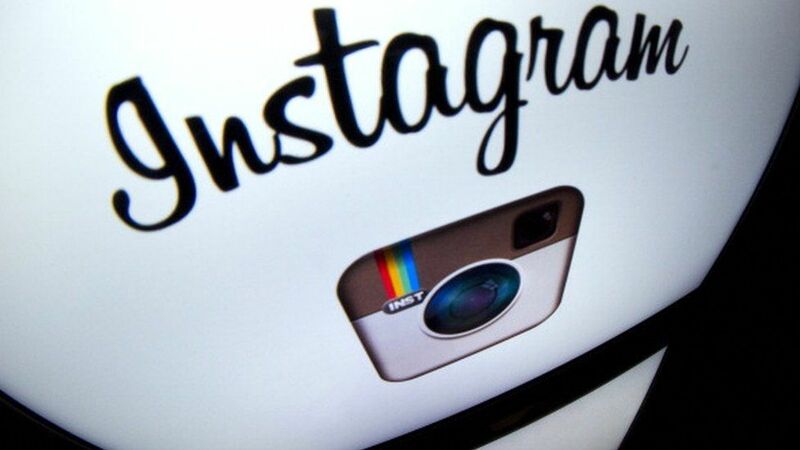 Hello Nirmal , You Sharing A Great post about Startups Can Boost Their Instagram Audience. I was searching on google but your website is best one to find tips and tricks about boost instagram post. Thanku so much.